We have all your needs covered. With over fifty years of experience we have the appliance repair service training to take care of what ever you need. We can work on that thirty year old washer to the newest cutting edge refrigerator. With on going training our techs can keep your appliances at there best. We have been Servicing the St Charles County area for over 55 Years. We provide a warranty with every job. We have been there for your parents 50 years ago and we are going to be here for your children as they grow up and move out someday. Ask some of your friends, I’m sure they have had the pleasure of Quality Appliance Service taking care of there machines. If your new to the area and looking for an appliance repair service company but don’t have anybody to ask, check us out with the BBB Better Business Bureau and our A+ rating and you can find us on Angie’s List. We will arrive with a smile. Listen to what needs you have, inspect the unit and give you an estimate on the completed repair. Quality Appliance will leave your place clean and your machine in good working order. You can trust all the people at Quality Appliance Service Inc we have your best interest in mind! 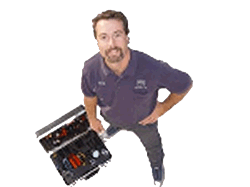 WHAT Equipment do we provide Repair services for? If you would like a copy of your American Standard equipment Owners Manual, please contact us today!